Bone growth centre: How is it possible? There is this belief and myth that only growth hormones will initiate the growth of bones, and when a person reaches a certain age they cease producing growth hormones and subsequently there's no way their bones can ever grow again. Then why is it in leg lengthening operations do new additional bones in the leg grow to bridge the purposely made gaps. The process, if repeated enough times, of purposely creating a gap in bones of the patient, by breaking the bones in their legs and the additional new bones growing back to bridge the purposely made gaps, will produce the results the operation is recognized to achieve, which is longer leg bones. Leg lengthening operations can come with a heavy price tag, as much as $85,000! (U.S). The fact patients, who undertake such an operation for the sole purpose of achieving more height, meant either their bodies are not producing the right level of growth hormones or the growth plates at the end of their bones have closed. This means new bones produced in leg operations were likely to have been initiated by the healing process, or namely the 'recovery time' responsible for causing the regeneration of the new bones in the legs. Of course the method of breaking one's leg to initiate new bones to grow is very extreme. Just like ours, there are subtle non-invasive and just as effective methods of initiating new bones to grow. Although our methods do not include the breaking of the bones, however the repetitive nature of our exercises do cause the type of necessary repetitive level of stress required to initiate the healing process to affect the organic structure of bones to grow in the direction they're recognized to do. 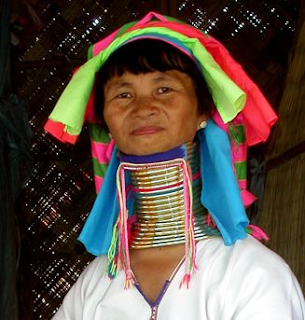 The 'giraffe neck' phenomenon of the women of the Padaung Mai tribe is another example illustrating the manipulation of the human skeleton is entirely possible. We are only using the Mai tribe to highlight bones can be manipulated, our programs are purely exercise programs, it does not require you to apply any devices of any kind on your body. ‘‘ The reason why this can happen is explained by examining the "Giraffe Neck" phenomenon. This image honors a Burmese (Padaung Tribe) beauty. The length of her neck is adorned with silver chains and coins signaling to all her elegance, wealth and position in the community. Our programs work on the basis of most exercises will force the human body to repair itself during the 'recovery time' after a workout. This is particular true and widely accepted that soft tissue cells such as muscles can become larger (even without steroid abuse) after they're put under stress from lifting weights or other repetitive exercises. We know muscles undergo damage during exercise. When the damage occurs it causes minute cells surrounding the damage fibers to fuse with the damaged fibers. When the surrounding minute cells multiply, some will replicate to mend the damage fibers while others fuse with the damaged fibers to create new proteins called intracellular which are new strands of muscle fibers.The whole process is called hypertrophy, and simply known as the healing process which not only heals the muscles but gives you larger muscles and makes you stronger. The process described above does not occur exclusively in muscles. The major misconception about bones is that bones are made of dead tissue and are not susceptible to changes. But the truth is bones are organs and are made of nerves, cells, blood vessels and are receptors of pain, they are completely organic, and will give under stress and react to pulling forces. Based on those facts its not entirely inconceivable bones are just as susceptible to manipulation in the way muscles and other parts of the human body can be manipulated. And despite bones being tougher, the effect of performing the right exercises to cause the correct type of stress exerted on the bones necessary to initiate the healing process to achieve the changes (results), we have discovered the changes to be much more profound with our programs when compared to any P.E.Ps. The emphasis with our programs is not about creating high levels of stress to force the changes to the structure of the bones but on creating the right type of repetitive low levels of stress which has proven more effective to produce the results they are recognized to produce. When 'repetitive' stress is exerted in your bones through exercise and depending on what type of exercises you are performing, the stress created through performing the exercise will likely to create micro fractures (on a molecular level) inside the bones itself. After the micro fractures are healed, they can change the structure of your bones (what changes occur will depend on the type of repetitive exercise you perform) minutely from each session of performing our exercises. Which type of micro fractures you create in your bones will depend on the level of stress is exerted on your bones. High levels of stress exerted on your bones from an exercise for example such as constant jumping and landing on your feet from high up can cause much more severe micro fractures in your bones in the lower legs, in those circumstances even after the micro fractures are healed, in exceptional rare cases, some problems may arise in your bones which can be corrected by surgery. What is really important is low levels of repetitive stress exerted on your bones can be healed by your own body’s healing properties through the healing process without any problems arising at a later date, this serves our programs really well, because if jumping is rated as a ‘level 10’ (in stress level) exercise, our exercises would comfortably be rated as ‘level 2’ (in stress level). So rest assured there will be absolutely no risks to the health of your bones from performing our exercises. Only micro fractures created by performing exercises which are vigorous and strenuous that can exert high levels of stress on your bones would give you a slim chance of developing problems at a later date. Bones can also be altered (not manipulated to grow) by primitive methods of applying constant pressure directly on the bones itself for a long period of time, similar to how dental braces work to reposition teeth. However our intelligent advanced method of bone manipulation does not involve simply applying direct pressure on the bones itself, but through exercises (we have designed ourselves which are dynamic in nature) that delivers a balanced low repetitive level of stress indirectly (balanced exercises for balance growth) to the bones, hence will affect the bones in a different way. This enables the bones to be manipulated to grow in a way which otherwise be unthinkable. 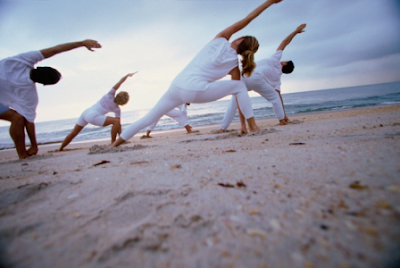 See (video) how a low levels of stress repetitive exercise can manipulate bones. = Through research we have developed and identified exercises that produce the results associated with our programs. When you exercise, your bones will also be put under stress, and if you exert enough of the right type of 'repetitive' low levels of stress over a certain period of time in the same area of bone/s, the result will cause enough stress to initiate the healing process, but its only possible through the repetitiveness of the right type of exercises and application. Without the high enough repetitive nature of the exercises, it won’t work, hence why most sports activities do not affect the structure of the bones. With the right exercises (that doesn't involve applying direct pressure on the bones itself), bones can be put under repetitive levels of stress to initiate the healing process to create growth from within, again if the process is repeated enough times in due course you will see the changes our exercises are recognized to produce. Here we have designed the right type of exercises that promotes the organic structure of bones to grow over a period of time. With our programs, it is advisable for you to maintain a well-balanced diet or take some essential amino acids to maintain a proficient working system so that you can acquire the full benefits of our programs by ensuring the efforts you put into the exercises are fully rewarded.